The new Weed Patch Mountain Trail offers exciting backcountry adventures for hikers, mountain bikers, and rock climbers. 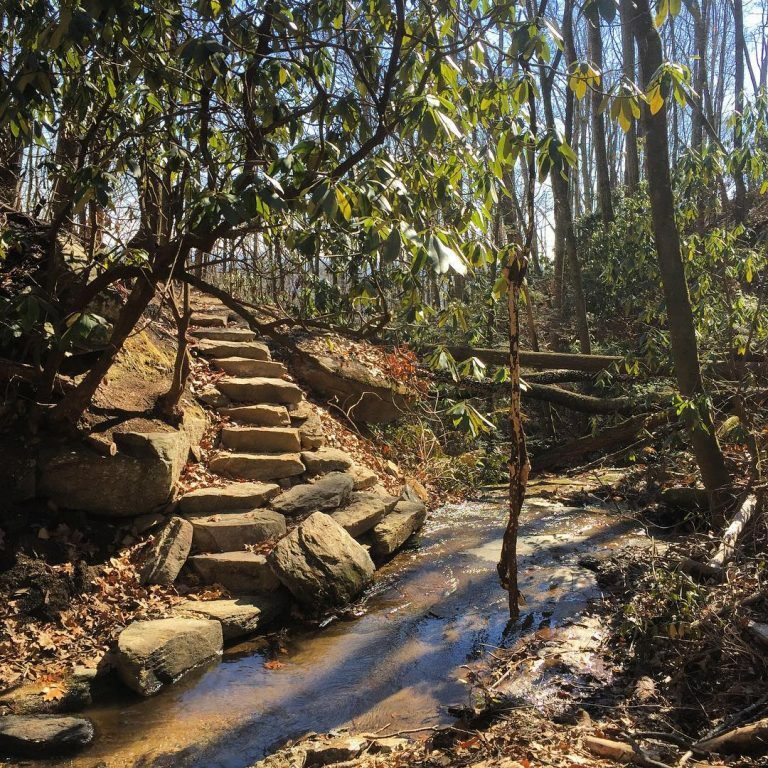 The 8.6 mile trail traverses rugged mountain terrain through a remote wilderness area in the Town of Lake Lure’s Buffalo Creek Park. Along the way, you’ll find yourself at rock outcrops with spectacular long range views, as well as pristine mountain streams and an old growth forest. 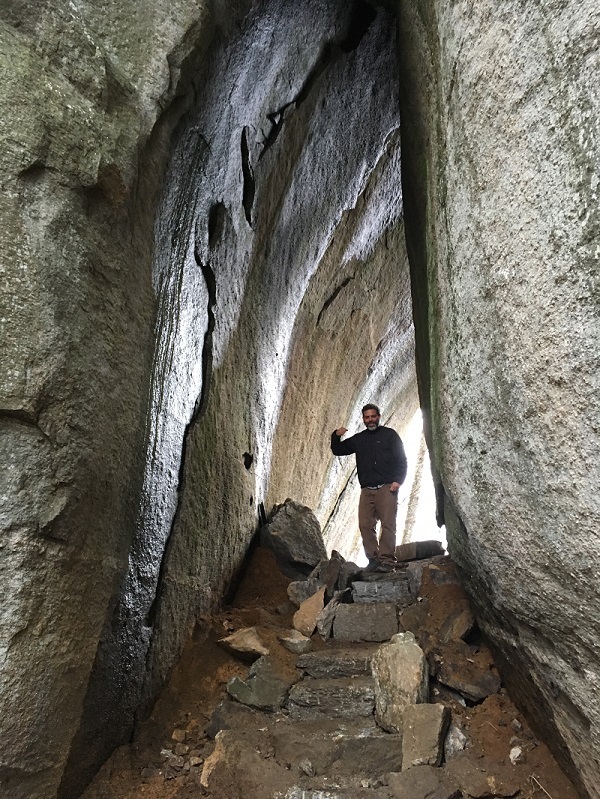 The trail is designed for hiking and mountain biking and a spur trail creates the first access to Eagle Rock in Chimney Rock State Park, a rock climbing destination. This trail connects to the Buffalo Creek Loop Trail. To prevent damage to the trail, it may be closed due to weather conditions. Please check the Buffalo Creek Park website for information about closings. You can start at Buffalo Creek Park in Lake Lure or register for a parking space in the small parking area near Eagle Rock. 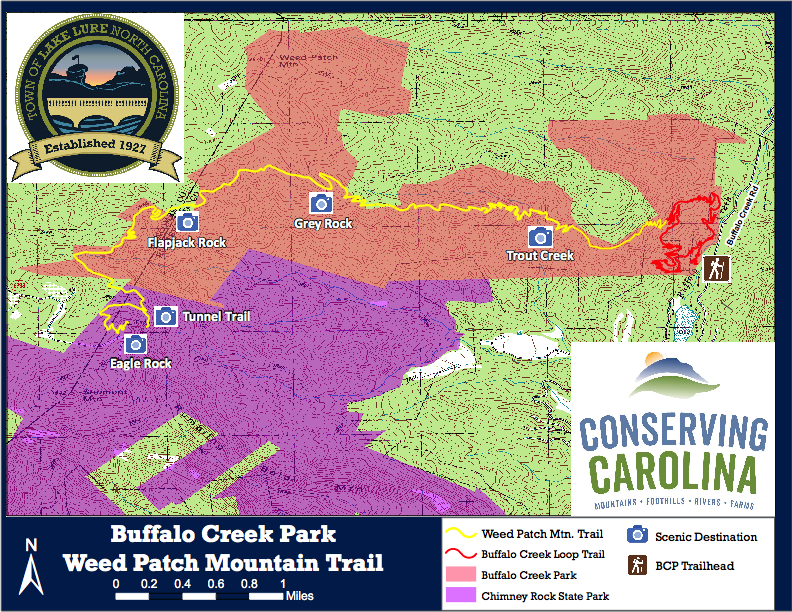 Take the Buffalo Creek Loop Trail to get to Weed Patch Mountain Trail. A small parking lot with very limited space is available at the upper end of the trail, near Eagle Rock. There are only eight spaces available. To get one, you must sign up online for a parking permit. Please carpool in order to make the maximum use of this lot! This parking area is accessed through a locked gate. When you register, you will get a combination for the gate. You are responsible for closing and locking the gate behind you. The road to the parking area is a one lane gravel logging road, which may be difficult if your vehicle has low clearance. You cannot park any trailers and vehicles larger than a 15-passenger van in this lot. There is no overnight parking. Your registration is good for one day, between dawn and dusk. Please do not park on private property. If you do so, you risk citation or your vehicle being towed. Conserving Carolina and Chimney Rock State Park are working to improve public access with a larger parking area in the future. This map shows the route of the trail, including topography and the best scenic views. You can also download this map as a PDF. 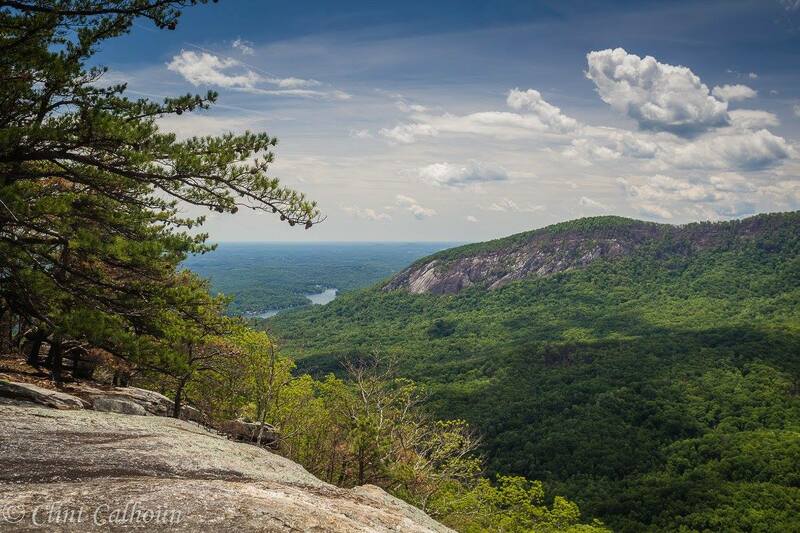 Conserving Carolina partnered with the Town of Lake Lure to protect over 1,500 acres at Buffalo Creek Park—making it one of the largest local parks in North Carolina. This land was slated for development, but during the recession, we were able to purchase the property out of bankruptcy. This allowed us to save a stunning tract of backcountry wilderness and open it to the public for recreation! Conserving Carolina protected the land forever with a conservation easement and sold it to the town for a public park. We designed and built the 8.6 mile trail to high standards of sustainability, in order to prevent erosion, minimize needs for future maintenance, and enhance people’s experience on the trail. 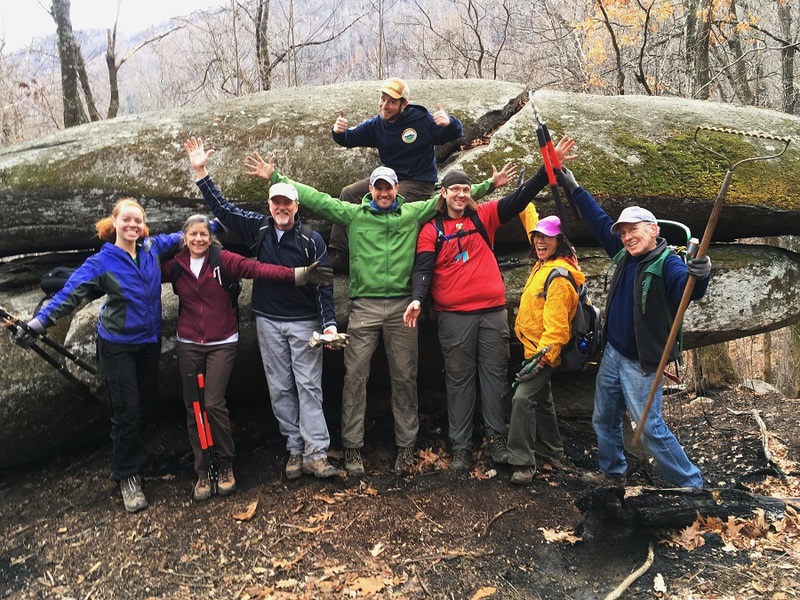 Our volunteer trail crews were instrumental in creating this state-of-the-art backcountry trail. 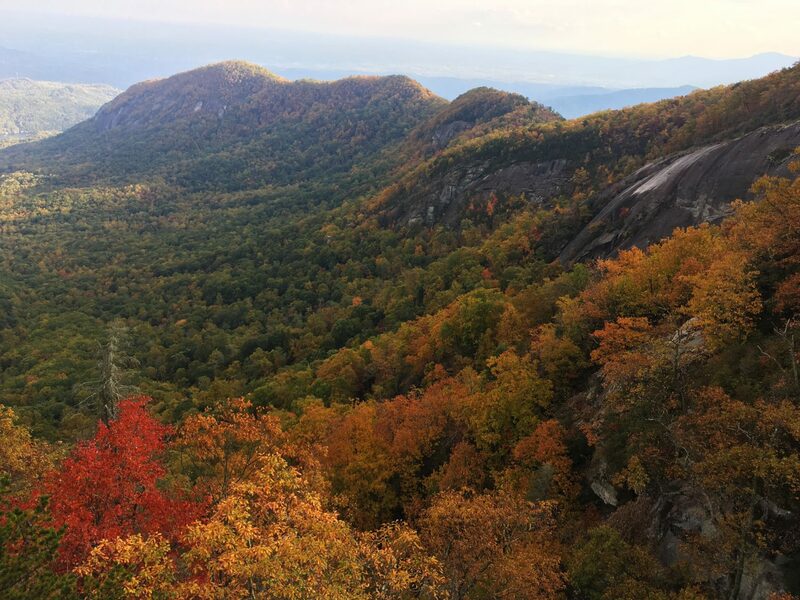 The Weed Patch Mountain Trail is part of our vision for the 130-mile Hickory Nut Gorge State Trail network. We’re able to protect amazing places like Weed Patch Mountain through the support of our local donors. 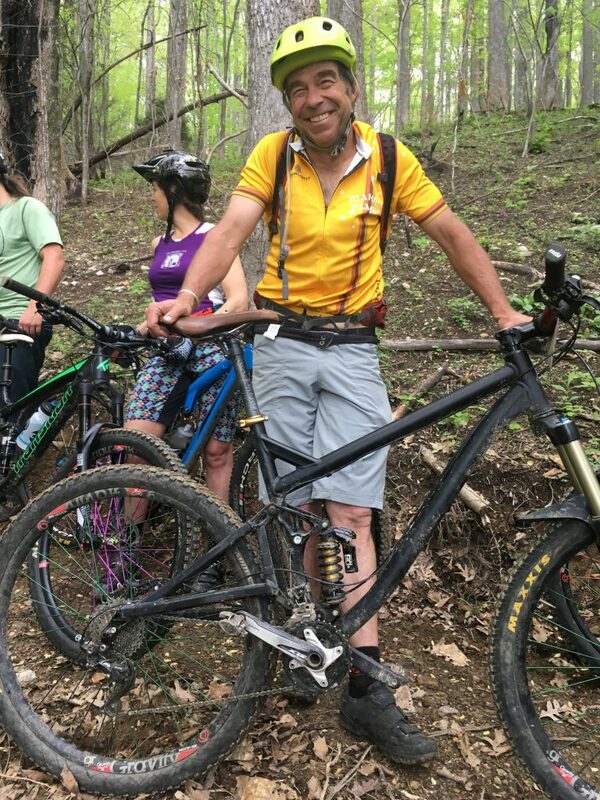 Please consider making a donation so we can conserve more land and build more trails! Love Weed Patch? What’s the next great place for you to discover?